Who is the nation’s greatest Dame? Maggie Smith, Judi Dench or Helen Mirren? 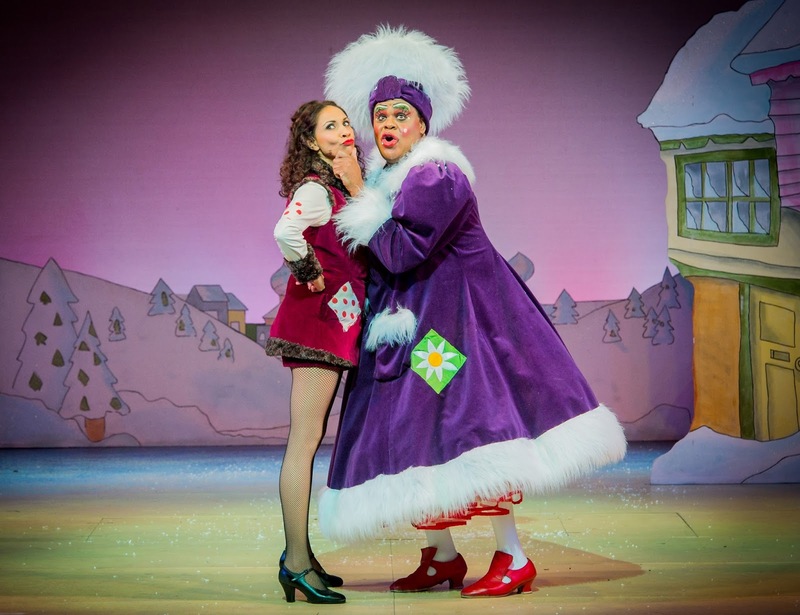 Well think again, for as pantomime season descends upon us, Clive Rowe yet again claims that illustrious honour with a barn-storming performance as Dame Daisy Trott in Hackney Empire’s Jack And The Beanstalk. Who else commands such a usual flair that their entrance, in a cart/chariot drawn by a pantomime cow as they sing Winter Wonderland, other than the lovably rotund and risqué Rowe? There’s a perennially strong community feel to this panto, where TV soap star top billings are ignored in favour of Rowe (the programme suggests that Trott is his 6th Hackney damehood) supported by theatrical excellence. Aside from Rowe’s pinpoint timing, stunning costumes (brava Lotte Collett) and THAT voice – he offers a great take on Harry Nilsson’s Without You whilst his Climb Every Mountain, sung as he follows Jack to the top of the beanstalk, will stay with me for a long time - Rowe is in great company. Debbie Kurup’s Jack is wholesome and lovable, deftly performed and of course Kurup’s voice and presence is a knockout! A neat post-modern twist sees local hero Kat B in white-slap as a Jamaican snowman (don’t ask). His hilarious patois along with an excruciatingly funny take on Uptown Funk make for another of the evening’s delights. 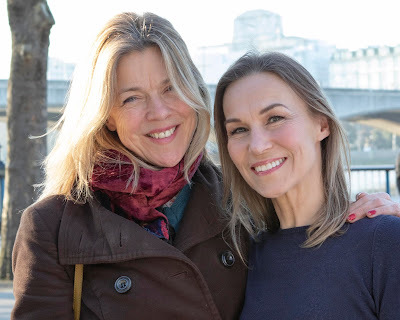 There’s no need to summarise the well-worn plot though if there is one criticism it is that writer director Susie McKenna, who has written every Hackney panto for nigh on 20 years, is possibly starting to run out of steam. At close to three hours long, the multi-racial Hackney audience that ranges from toddler through hipster to grandparent, deserve more than the occasional thrown away gag about Jeremy Corbyn or Greece’s debt. Even if they’re all top-notch, there’s a tad too much pre-recorded celebrity voiceover – McKenna should have stopped at the genius opening projections of local newsmen Jon Snow and Robert Peston – and a glaring omission from the programme means that we never learn who are the talented duo inside what is a sensationally choreographed pantomime cow. Mark Dickman's 5 piece band puts in fine work, Jocelyn Jee Esien and Tony Timberlake entertain and earn our boos as the Giant’s henchmen, whilst dear Julia Sutton enchants us all as Mother Nature, out to save the planet. But its Dame Clive Rowe who steals this show!